The Fitnex R70 is an extremely solid and well built recumbent bike. Biking is a great way to get some good quality, low impact cardio exercise. The recumbent position places less strain on your back than upright bikes yet still provides a great leg workout. This bike has great features including 16 levels of resistance using magnetic resistance. This type of resistance allows for a smooth and quiet workout because there is no friction. The R70 recumbent bike includes 8 challenging workout programs that include interval, weight loss, cardio, fatburn, heart rate control, rolling hills, random and manual. This variation will help you to achieve your health goals, whether it be weight loss, knee rehabilitation or just provide an indoor ride when there is poor weather outside. SKU: FMI-R70 Categories: Exercise Bikes, Fitness and Exercise Equipment, Fitnex Tags: bike, exercise, fitness, fitnex, gym, recumbent, recumbent bike Brands: Fitnex. The Fitnex R70 recumbent bike is a light commercial grade elliptical that is built to last. Therefore this product can be used in your home or in a light commercial setting. 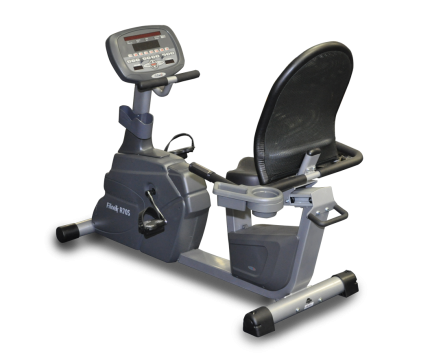 The R70 recumbent bike features 16 levels of resistance and 8 exercise programs. time, work level, watts, distance, speed, calories burnt and heart rate. Includes heart rate contact grips and can be used with a chest strap (not included), water bottle holder, feet levelers, self leveling pedals with straps, transport wheels, comfortable seat with back support. Maximum user weight is 400 lbs. Be the first to review “Fitnex R70 Recumbent Bike with Magnetic Resistance” Click here to cancel reply.